In a recent survey by Public Health England 27 per cent of people admitted they would find it hard to talk to someone with dementia. Only 39 per cent agreed that “caring for someone with dementia is often very rewarding” and as many as 71 per cent agreed that “caring for someone with dementia often means that your own health suffers”. Just half agreed that people with dementia can “live life to the full”. Agnes B. Juhasz, author of the new book The Dementia Whisperer: Scenes from the frontline of caring draws on Agnes’s real-life experiences of dementia to help others understand dementia and to share Agnes’ insights into approaches to care. It is so easy to assume that people who are living with dementia remember nothing of their distant or recent past. In fact, if I went on a busy street and randomly asked passers-by to name the main characteristic they associate with dementia, forgetfulness is likely to be the most frequent answer. People don’t understand the complex number of symptoms that come with dementia, or that dementia will be a different experience for everyone. I often wonder why there are so many myths surrounding dementia. Is it lack of knowledge or ignorance, or that people simply lazily repeat what they have heard without giving it much thought? Whatever the reason, myths are nearly always misleading and in the case of illness, they can stand in the way of diagnosis and subsequent treatment or care. Assumptions and generalisations can severely damage relationships between people living with dementia and those closest to them. First of all, dementia is not a simple loss of memory – it is a very complex condition that is objectively difficult to understand. Short-term memory loss is one of the most common aspects of dementia. The severity of this forgetfulness will vary according to the different stages of the condition. However, just because someone cannot say what happened to them an hour ago does not mean that they won’t have any recollection of their past. Moreover, there is a very strong emotional memory that in my experience persists even at an advanced stage of dementia. For instance, if there is a person, location, sound or visual effect connected to a bad feeling or a traumatic event in the person with dementia’s life, they will start to get agitated, restless or even aggressive every single time the unpleasant past memory is brought back to them. Another myth is that people with dementia are intentionally aggressive. In fact, they never mean to be aggressive; their violent episodes are caused entirely by their illness. Moreover, studies (in addition to my own professional experience and observation) have suggested that aggression in people with dementia never occurs without reason. I would take this further and add that aggression is a form of communication for those who are not able to verbalise their needs. This is why, once their needs are met, aggression disappears, or is significantly reduced to a manageable level. I do not believe in myths. Especially the one stating that there isn’t much that can be done for people living with dementia. It is simply not true. These people are open to kindness and creative ideas, they react to positive stimuli in a similarly positive way, and they enjoy leisure time and entertaining activities just like anybody else. In fact, with good care they can be mentally balanced and happy. And this is not a myth. 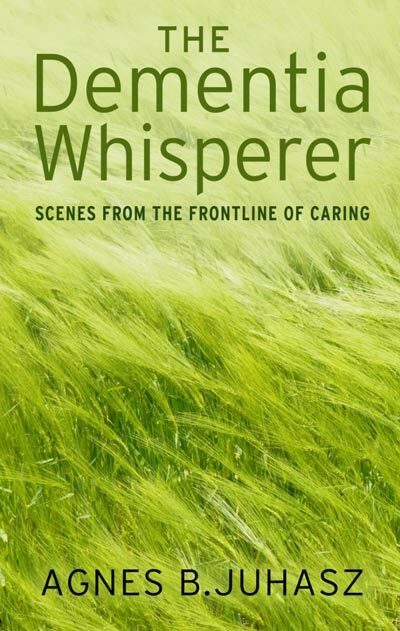 Agnes B. Juhasz is the author of The Dementia Whisperer: Scenes from the frontline of caring (published by Hammersmith Health Books on 15 November – order here. For more information about dementia you can order Alzheimer’s Research UK’s booklets and leaflets here, under the ‘Information about dementia’ tab. All literature on the page has been certified by The Information Standard.